Last month, I wrote a series of posts about virtual client support and some of the tools you can use to do it effectively, covering remote desktop applications and screen capture tools. 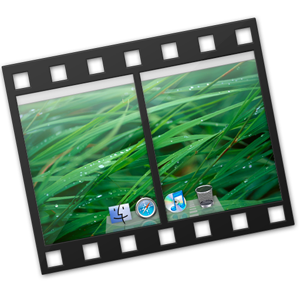 Another exceptional technology for training clients virtually is screencasting. Today, we’ll cover some of the best practices for developing professional screencasts, and tomorrow I’ll provide a list of screencasting tools to help you get the job done. Start with an Outline â€“ Before recording, take time to outline the topics the video will cover so you can create a flow, much like you would do for a live presentation. Focus on the Audience’s Needs â€“ Your outline should help you identify the unique problem you are solving for your audience. Keep it in mind as you go through the screencast so it’s completely relevant to those following along. Get a Good Mic â€“ As with all audio, clarity is vital. Invest in a really good microphone that helps eliminate background noise and static. It will make the necessary editing work much easier to manage. Lock Out the Noise Makers â€“ Even if you have an excellent mic, your screencast can go downhill fast with dogs barking, kids screaming and phones ringing. Consider Separating Audio and Video â€“ If you find that recording the video and the audio at the same time is too much and you’re having trouble talking while you click, do the video first then go back and record the audio separately. Clean Up Your Desktop â€“ If you have 173 icons sitting on your desktop and plan to open apps from that location during the video, clean it up and remove unused clutter. Not only will it cut down on the time it takes you to find what you’re looking for, but it will also look a lot more professional. Close Out Apps â€“ Before starting, exit all of the applications you won’t be using to avoid interruptions (email notifications, IM pings, etc.). This will also speed up the processing of the apps you are using. Plan a Dress Rehearsal â€“ Do a walk-through before you start recording. While you donâ€™t want to over practice, going through the video at least once will make it more natural and smooth. Be Confident â€“ You know your stuff, that’s why you’re making a screencast. Let your experience and confidence show. Speak Slowly â€“ As with any presentation, think about what you’re saying, take time to breathe and try to pace yourself. Sure you can go back and edit, but consciously thinking about your speed will cut down on the edits you need to make. Take Breaks â€“ If you find that you are talking faster than you’d like, hit pause. One of the best things about making a screencast is that you control the process, so if you need to take five, do it. Try Improvisation Instead of Starting Over â€“ Don’t let your breaks stop your progression. Instead of stopping, rewinding and starting over when something doesn’t come out right, try to go with the flow and see what happens. Let Go of Perfection â€“ When you do misclick, misspeak or make a mistake, it’s OK. Unless you’re doing a screencast on the perfect screencast, little gaffes are expected and make you more relatable. Give it a Day to Rest â€“ Once you’ve completed your recording, get away from it. Give yourself a break from the intense focus and give the screencast a chance to percolate overnight. Edit and Clean Up â€“ Plan at least a day after your break to clean up and fine-tune your screencast. And it’s always a great idea to have someone else review with a fresh eye before publishing. What are your tips for creating professional screencasts?